Chathuranga De Silva will tonight represent Colombo in their top of the table clash against Dambulla in the Super Provincial T20 tournament, but he considers himself lucky just to be alive. In December 2004, the all-rounder and his teammates in a Sri Lankan provincial side had completed their warm-up ahead of a tour game at Galle International Stadium when the Boxing Day tsunami struck. The ground was devastated and his family thought he was dead. “We saw the tsunami coming,” recalled De Silva, who is attended the Darren Lehmann Cricket Academy (DLCA) in 2014 and played for Southern District’s during his time in Australia. Thankfully the team retreated in time to avoid being among the more than 200,000 people killed worldwide from the natural disaster, triggered by an earthquake off the coast of Indonesia. Fast forward 10 years and De Silva, the first Sri Lankan alumni, arrived at the DLCA as a 24 year old with minimal English skills. At the beginning he struggled to socialise with the other cricketers in the group and he was homesick, however it was not long before he let his cricket do the talking. Despite the language barrier, the left arm orthodox bowler and left handed batsman interacted with the coaches tremendously and helped build confidence in his own game. The DLCA’s Head Coach Shaun Seigert stated “Chathuranga had an incredible ability to implement any information very quickly, it’s a top sign of any elite player”. Upon returning home, De Silva made his ODI debut against South Africa and soon after won the Asia World Cup in Bangladesh. He has since been one of Sri Lanka’s most reliable and consistent fringe players in the national side at ODI and T20 level. De Silva’s younger brother Wanidu Hasaranga also represents Sri Lanka at ODI level. Alex Wakely, or ‘Wakers’ as he is commonly called has been a shining light for the County cricket system. Breaking through as a talented junior, Wakely represented England U19’s and captained them in the 2008 World Cup. The following year he brought his skillset to the Darren Lehmann Cricket Academy (DLCA) and flourished as a natural leader. As many players do, Wakely first struggled to adapt to the Australian wicket and found it difficult to read the bounce. Despite some early struggles, the current Northamptonshire Captain remained true to himself and displayed incredible persistence. Wakely demonstrated strong leadership to his entire group, one which included English players Alex Hales, Jake Ball and Samit Patel. He had a positive impact on his High Performance Program group from the beginning, but certainly learnt a lot about his own game in the process. 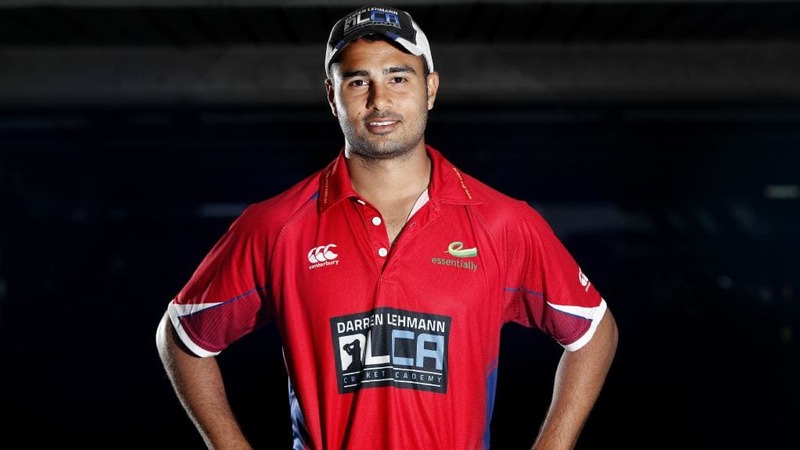 Head Coach Shaun Seigert described him as “a stroke maker type…a fluent batsman who is very clean and sharp”. During his time in Adelaide, Wakely played for Prospect District Cricket Club and displayed his calm temperament on many occasions. He was a player who came to Australia with a reputation for being a junior international player and the Australian bowlers often put a target on his head. Towards the end of the program, Wakely began to dominate and score some serious runs for his grade club. There was one story in particular Seigert recounted about Wakely’s experience. “He came out to Australia when players were billeted out, rather than living in shared accomodation like they do now”. “At this particular time, the person he was living with had no air conditioning”. “While it would be normal to be unhappy, Wakely simply used a piece of mesh on his wall to cool himself down”. “He was a man born to lead with one of the most authentic personalities”. 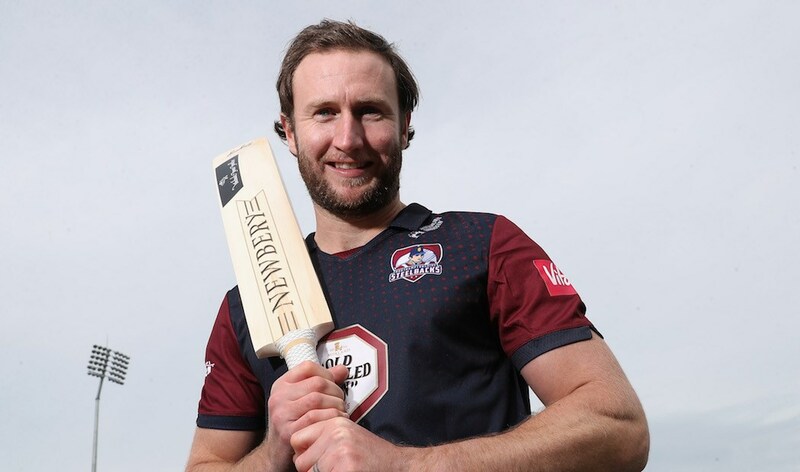 After returning to England upon completion at the academy, Wakely became a regular in the Northants 1st XI. It did not take long for the club to realise that he was a man they needed to keep at the club for life and made him captain at the ripe age of 24. He soon featured and captained Northamptonshire in all formats of the game. He is among the fast bowling cartel…from Texas. It is not every day you hear of a young Pakistani born American plying his trade in the cricket world. In a country obsessed with baseball, Shuja Naqvi, 22, was the first American player to attend the Darren Lehmann Cricket Academy (DLCA). In 2015, Naqvi made the trip to Adelaide, Australia seeking to improve his game. The right-arm pace bowler who played for the University of Houston said that he needed to come to come to the academy to get professional coaching for the first time. During his time in Adelaide, Naqvi was highly impressed with the professional standards offered and played with Woodville District Cricket Club. He recounted that “I had a lot of technical flaws in my action and now I know how to continue working on them when I go back home”. Head coach Shaun Seigert was particularly impressed with Naqvi’s ability to get up to speed with the difference in training intensities between the two countries. Naqvi says cricket is ­becoming more popular in the US and is shown on specialist cable cricket channel Willow TV, as well as online. The DLCA is continuing to build its strong relationship with North America through hosting camps in both the USA and Canada. The DLCA has since seen a clear rise in North American players attending the High Performance Program and welcomes anyone from the region wanting to improve their skills. A series composed of ODI matches, Ireland and Bangladesh sent their A squads to face off in a closely contested tournament. As hosts, Ireland would play Bangladesh in matches spread between Wicklow and Dublin. Despite being listed as an unofficial ICC tournament, both nations were not taking the contest lightly, utilising the series to test and assess different players for the future. Cricket Ireland’s Chair of Selectors Andrew White stated, “These Wolves matches fit into the longer-term planning of the senior management team building towards the World T20 Qualifier in 2019”. Over the past decade, Cricket Ireland have forged a close partnership with the Darren Lehmann Cricket Academy (DLCA) and have seen multiple players train in Adelaide, Australia. The Ireland A squad to take on Bangladesh A consisted of 3 DLCA scholars, Stuart Thompson (2016/17), James McCollum (2017/18) and Shane Getkate (2010). Despite the first ODI match at Oak Hill Cricket Club in Wicklow ending in a draw due to poor weather, the remainder of the series shaped up to be a thriller. The second match played at the same venue began with a commanding 289 run first innings from Bangladesh, in which Ireland’s top order saw a collapse and inevitably failed to chase down the total. Entering the third match at 1-0, Ireland desperately needed to step up. Winning the toss and electing to bat first, the top order once again failed to make a stand. Thankfully swing bowling allrounder and DLCA scholar Stuart Thompson came to the rescue and posted a solid 69 from 91 balls. Head Coach of the DLCA Shaun Seigert described Thompson as “a very aggressive type, which is reflected in a man in a hurry. Everything was on fast forward for him, it was all about scoring runs”. His partner at the other end varied between Andy McBrine and other DLCA scholar Shane Getkate. The trio proved to be the backbone of the Ireland team who won by 34 runs. Game four was extremely high scoring, however dominated from the outset by Bangladesh captain Mominul Haque. As the series had now switched to being played in Dublin, the Tigers batsman scored a phenomenal 182 from 133 balls, leading his team to a total score of 386. Although Ireland failed to win the match, DLCA scholars James McCollum (43) and Stuart Thompson (42) were pivotal in the run chase. Heading into the fifth and final match, Bangladesh held a 2-1 lead. Although a series victory was out of Ireland’s hands, the team were not settling for defeat. A five-wicket haul from local fast bowler Peter Chase and an impressive 160 not out from batsman Andrew Balbirnie helped seal a draw for Ireland in the ODI series. 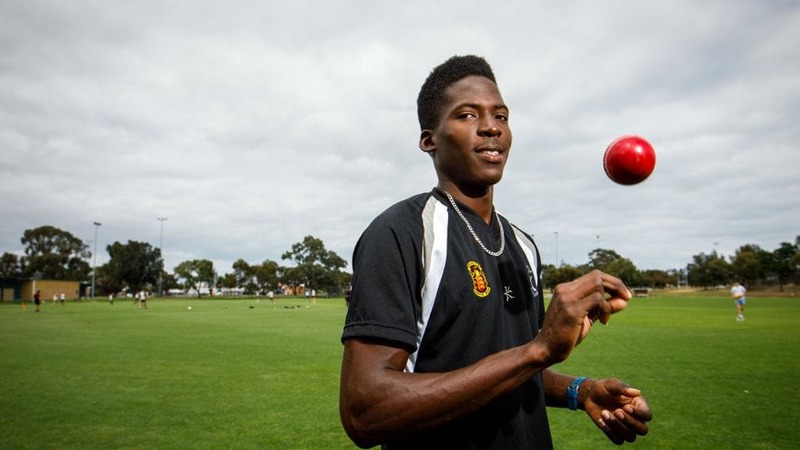 In search of taking their game to the next level, West-Indian cricketers Kavem Hodge (2010/11), Hayden Walsh (2011/12) and most recently Chemar Holder (2017/18 – pictured) have attended the Darren Lehmann Cricket Academy (DLCA). All three Caribbean players immediately made an impact in Adelaide, impressing the DLCA coaching staff and their local clubs. However, their most recent achievement of signing lucrative contracts in the Caribbean Premier League highlights the pathway that the Academy seeks to establish. Kavem Hodge, an allrounder who is a left arm orthodox bowler and right-handed batsman, is representing the St Lucia Stars. From a young age Hodge was recognised as a talented cricketer, progressing through the West Indies junior team at U15 level. He was the first West-Indian to attend the DLCA and noted that the DLCA helped “Realise my goals and how I can develop myself. It has really helped me identify my strength and weaknesses”. Chemar Holder, a fast bowler who idolised West Indian hero Curtly Ambrose growing up, has signed with the Barbados Tridents. Coming off the back of a successful U19 World Cup with the West Indies, the Barbados Cricket Association and Holder’s family were eager for the swing bowler to test himself in an entirely different environment. 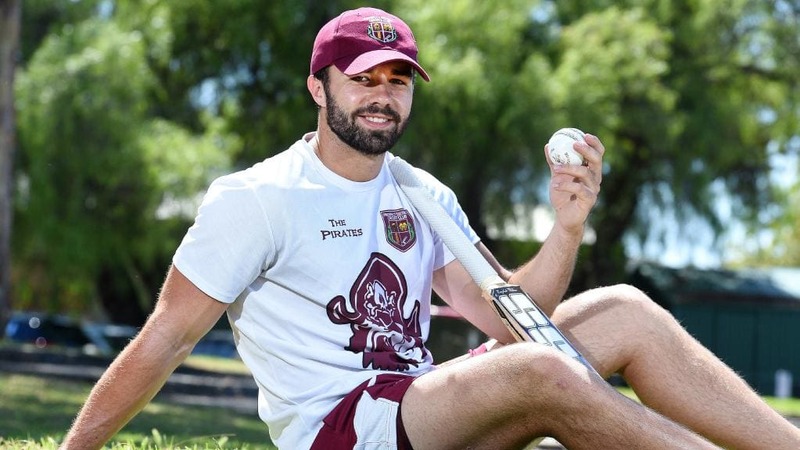 During his time at the DLCA, Holder stated “it’s a different way of playing cricket than home, so I’m just having to adapt to situations and go with the game plan”. Hayden Walsh, a leg spinner who has represented West Indies A on multiple occasions, has signed with St Kitts & Nevis Patriots. A recipient of the Carl Hooper scholarship, Walsh immediately made his first-class debut for Leeward Islands on his return from the DLCA. He stated, “The Academy has helped prepare me not only physically but mentally and I feel much more confident in myself and in my game”. The team at the DLCA look forward to monitoring the progress of our West-Indian scholars and wish them all the best in their Caribbean Premier League campaigns. The tournament runs between 8 August–16 September. DID SOMEONE REFER YOU TO DLCA?